Get your #GIRLBOSS on–MAC and Nasty Gal will be releasing a small collection this December of three lipsticks and a nail polish. 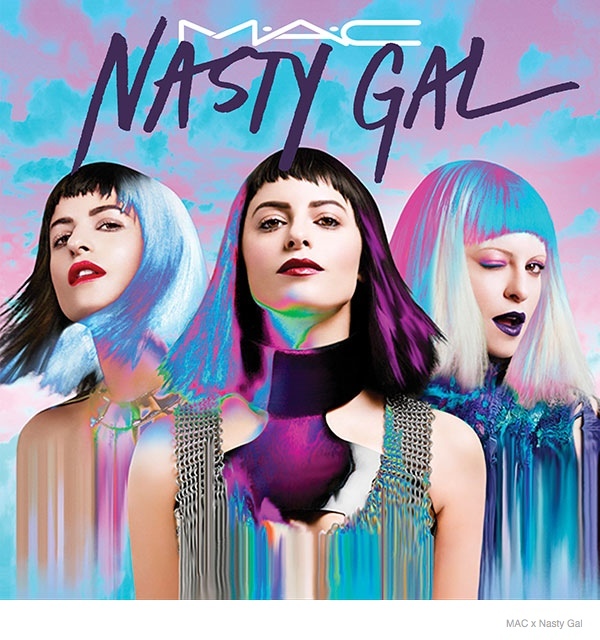 MAC is really on a roll with their amazing collections lately–The Simpsons, Rocky Horror Picture Show, Brooke Shields, and now Nasty Gal. The lipsticks include a Gunner, a vampy purple, Stunner, a blood red and Runner, a wine red. The polish is a fiery red called Flaming Rose. The MAC x Nasty Gal collection will be available online and in stores December 4th.